Ergo Pers is primarily a publisher of artists books, first editions of Dutch poetry and editions of French or English poetry in translation. Since its founding in 1995 Ergo Pers has brought together writers and artists to explore verbal and visual relations, such as Pierre Alechinsky, Armando, Jürgen Partenheimer, Hanns Schimansky, Ronald Noorman, Jacques Dupin, Hugo Claus, Reinier Lucassen, Dan Van Severen, André du Bouchet, Yves Bonnefoy, Pierre Reverdy and Jerome Rothenberg. Krijtdiertjes (Otwornice) with poetry by Wislawa Szymborska, and lithography by Ronald Noorman Ergo Pers published a livre de peintre with John Ashbery, one of America’s most innovative and influential poets—an exceptional artist whose work stands alongside the finest of Whitman, Dickinson, Stevens, and Hart Crane. In fall 2012 Ergo Pers published Giotto's hemel (Giotto's heaven), a livre de peintre with poetry by Stefan Hertmans and etchings by the Flemish painter and draftsman Karel Dierickx. Dierickx created a series of etchings inspired by early Renaissance sinopia drawings, in response to Hertmans' poems about Giotto, Piero della Francesca, Luca Signorelli and Fra Angelico. In March 2012 Ergo Pers published an artists' book with Nobel Prize winner Wislawa Szymborska. Krijtdiertjes is a limited edition artist's book with poems by Wislawa Szymborska and prints by Ronald Noorman. Ronald Noorman is, beyond a doubt, a draughtsman at heart, being an artist who makes full use of the qualities and potential of his medium. Aside from intimacy and transparency, terseness is a particularly striking characteristic of his recent work. 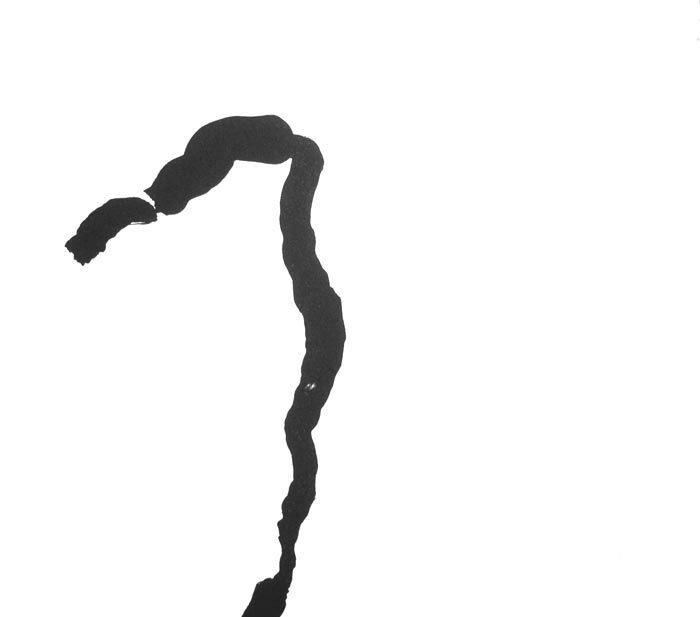 In Krijtdiertjes, the minimalism of Noorman is juxtaposed to the wit and deceptive simplicity of Szymborska's poetry. Krijtdiertjes is published in a limited edition of 40 copies. 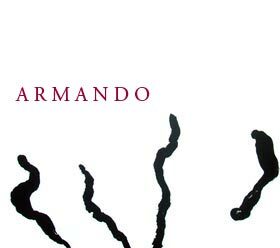 Armando, De stilte | Die Stille. Bilingual edition (Dutch -German) with poetry and lithography by Armando. In 2009-2010 Ergo Pers published a double volume artists' book with John Ashbery, Franck André Jamme and etchings by Hanns Schimansky. John Ashbery, The Recital, translated by Franck André Jamme and La Recitation de l’oubli | Les gués, les passes, by Franck André Jamme and translated by John Ashbery. For both books Hanns Schimansky created a series of five etchings. John Ashbery has achieved a unique status among American poets. Even though much of his work is difficult to read, avant-garde, and post-modernist in character, Ashbery has become revered and beloved by many readers. Three Poems consists of three lengthy and highly intense prose poems called The New Spirit, Theme and The Recital. The three long prose poems ravel and unravel philosophical questions about language's ability to represent the world and about how best to apprehend reality – but these dense matters are leavened with Ashbery's characteristic wit. The third and shortest of the Three Poems, The Recital,' written in April 1971, is now translated into French by Franck André Jamme, and published in a bilingual limited edition by Ergo Pers. John Ashbery, The Recital, translated by Franck André Jamme is published in an edition of 40 copies in December 2009. For this limited edition, Hanns Schimansky created a series of five etchings. The Recital /Le Récital, a prose poem by John Ashbery, bilingual edition in a French translation by Franck André Jamme, in close collaboration with the author and MarieFrance Azar, published in October, 2009, by Ergo Pers, Ghent. 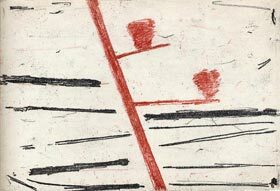 Each copy includes five original etchings by Hanns Schimansky and is further accompanied by a suite of five loose prints of the same etchings, signed and numbered by the artist. All forty copies are signed on the colophon page by the author, the artist and the translator. The Recital /Le Récital is printed in a limited edition of forty copies, numbered in Arabic numerals, with an additional series of twelve reserved copies for the author, the artist and the translator, numbered I-XII. 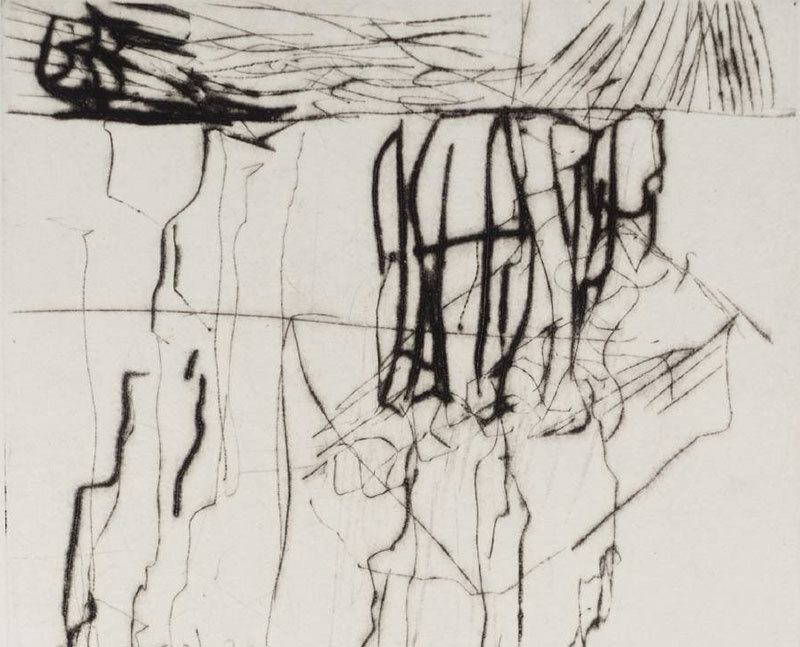 A separate edition of six copies, reserved for participating collaborators and numbered A-F, consists of six original etchings, instead of five. The etchings were printed in Berlin by Fritze Margull. The text is set in Garamond and printed on 230-gramme Hahnemühle paper. Typography, design and printing are by Rein Ergo. Franck André Jamme, La Récitation de L'oubli, translated by John Ashbery, is published in an edition of 40 copies in December 2009. For this limited edition, Hanns Schimansky created a series of five etchings. La Récitation de l’oubli / Les gués, les passes / The Recitation of Forgetting / Fords, channels, poems by Franck André Jamme, bilingual edition in an English translation by John Ashbery, published in October, 2009, by Ergo Press, Ghent. Each copy includes five original etchings by Hanns Schimansky, is signed on the colophon page by the author, the artist and the translator, and is further accompanied by a suite of five loose prints of the same etchings, signed and numbered by the artist. Les gués, les passes / Fords, channels, is printed in a limited edition of forty copies, numbered in Arabic numerals, with an additional series of twelve reserved copies for the author, the artist and the translator, numbered I-XII. 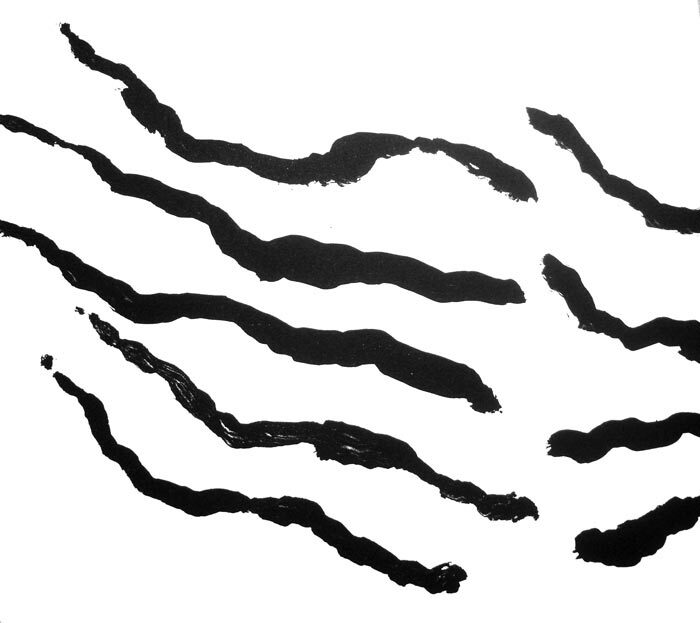 A separate edition of six copies, reserved for participating collaborators and numbered A-F, consists of six original etchings, instead of five. The etchings were printed in Berlin by Fritze Margull. The text is set in Garamond and printed on 230-gramme Hahnemühle paper.Typography, design and printing are by Rein Ergo. Negende Eeuw, with poetry by H. H. ter Balkt and etchings by Ronald Noorman, is a limited edition artist's book, in which the refined drawings of Noorman is juxtaposed to ter Balkts poetry. The book contains five etchings, a continuous lithograph on the front cover, and a suite offive signed etchings. Negende Eeuw is published by Ergo Pers in a limited edition of 36 copies, signed both by the author and the artist. Letterpress printing and manual binding by Rein Ergo, Gent; the etchings were printed by Henry Hemelsoet, the lithograph was printed by Felix Bauer, Cologne. 30,5 x 25 cm., slipcase. Price: € 750. In 2011 Ronald Noorman is showing new drawings in Stichting De Pont Tilburg. The cover lithograph was published in a separate edition, Tourniquets. Tourniquets, with two lithographs by Ronald Noorman was published in April 2009 by Ergo Press, in an edition of fifty copies. Both prints are numbered and signed. The lithographs were printed by Felix Bauer to Cologne. Ronald Noorman, Tourniquets, Ergo Pers 2009. 30,5 x 25 cm. Inslipcase. Price 350 Euro’s. Armando, Hemel en aarde. Het Gevecht [Ciel et terre. La bataille]. Bilingual edition (Dutch - French) with poetry and lithography by Armando. Edition of 50 copies, numbered and signed by the artist. Three lithographs in the book + a suite of three loose prints, signed and numbered by Armando. Hemel en aarde. De schepping [Ciel et terre. La création]. Bilingual edition (Dutch - French) with poetry and lithography by Armando. Edition of 50 copies, numbered and signed by the artist. (Three lithographs in the book + a suite of three loose prints, signed and numbered by Armando). Red slipcase.  De slapende goden | Sueños y otras mentiras, with poetry by Cees Nooteboom and lithographs by Jürgen Partenheimer, is a limited edition artist's book, in which the refined minimalism of Partenheimer is juxtaposed to Nootebooms overwhelming poetry of place. The book contains several images, partly in color, a continuous etching on the front and back cover, and a suite of two signed lithographs. De slapende goden | Sueños y otras mentiras is published by Ergo Pers in a limited edition of 48 copies, signed both by the author and the artist. Letterpress printing and manual binding by Rein Ergo, Gent; lithographs printed by Felix Bauer, Cologne. The entire edition was printed on Waterford Saunders 190 g. 38 x 28 cm, slipcase in crystal clear perspex. Price: € 1300. Jürgen Partenheimer has produced more than 70 artists books since 1970. These books are the quintessence of an encounter between visual arts and literature. De slapende goden | Sueños y otras mentiras is the result of Partenheimers most recent collaboration with Cees Nooteboom.  Sur Place, with text by Hans Faverey and etchings by Ronald Noorman. Ediion of 36 copies.  Exil de peintre with text and etchings by Philippe Vandenberg. Edition of 33 copies. Each book includes two volumes : a first volume with 53 etchings and an additional second volume with a suite of 11 echings, signed and numbered by Philippe Vandenberg.  Jürgen Partenheimer, À la rêveuse matière.